Hungary has launched several talent support initiatives recently, which are outstanding also in European and even global comparison, by pooling public and other non-profit resources. Its national co-operation and talent support network of talent points is a unique venture, and the still expanding Genius Books series covering diverse aspects of the theory and practice of talent support published by the Hungarian Association of Talent Support Organisations is also unique in its kind. One line covered by Genius Books is the presentation of foreign best practices in talent support in the context of the educational policy system or, as the case may be, the talent support strategy of the country concerned, providing the reader a detailed close-up of one best practice in each case. 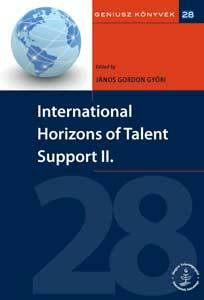 The present volume, available both in Hungarian and in English, is the third one dedicated to this topic, similar in structure and content to its predecessors and, in regard of the presentation of best practices of countries with major traditions in talent support, an organic follow-up of the papers in International Horizons of Talent Support, I. To provide an authentic close-up of the best practices under study, it is imperative to carry out thorough desk research, to have personal meetings with the foreign colleagues concerned and, if possible, to gain an insight into their implementation. Similarly to Horizons, Vol. I, this volume presenting nine best practices from three continents could not have come about without the unselfish assistance of foreign colleagues engaged in talent support and the information they supplied to our researchers. Besides the contribution of Hungarian researchers and foreign talent support professionals, special mention should be made of the valuable input of our Vietnamese and Saudi colleagues whose studies give an overview of the talent support efforts of their respective countries.